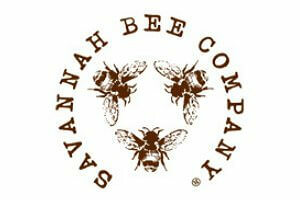 Savannah Bee founder Ted Dennard was first introduced to honey as a 12-year old boy and honey and bee keeping became a way of life. During his world travels he saw bee keeping and honey making in various corners and he coming home he started selling his home-extracted Tupelo honey around town in 1998; people loved the purity and richness, and the word spread quickly. In 2002 he started the Savannah Bee Company, expanded the honeymaking 'plant' into an old 800 square foot classroom at the Oatland Island Wildlife Preserve, and in 2010 Ted is operating a 40,000 square foot warehouse on Wilmington Island, a bridge’s distance from the City of Savannah. For Ted, tasting honey is like a sommelier tasting wine: his palate can discern the quality, origin, and the varietal of blossom. Amid his busy schedule as full-time family man who runs a successful business, Ted makes time to educate the public on the magical world of the honeybee. Today’s operation is stark contrast to the days in Ted’s kitchen, but his passion has never changed. 'I just love it', he says. 'I can’t imagine doing anything else'.